A large number of visitors is expected at the Begin Center on Yom HaShoah which this year will mark 65 years since the uprising in the Warsaw Ghetto. This event is being organized in cooperation with the Jabotinsky Institute, The Betar Youth Movement and the Jabotinsky Order of Israel. On Yom HaZikharon, a large family group from Florida will be at the Begin Center as well as groups from different parts of the world. On that day and the next, Yom HaAtzmaut, the Begin Center will distribute to all visitors a copy of Menachem Begin's historic speech he made on the end of the struggle on the Saturday evening following the procla mation of Israel's independence on Friday, May 14 on the Irgun secret radio. This was his last speech as commander of the Irgun Zvai Leumi. The speech was republished several years ago both in English and in Hebrew and some copies are still available. The speech appears in Begin's first book, The Revolt, in both Hebrew and English. The Begin Center has also recently acquired a computer system with which it is possible to determine various important statistics regarding attendance at the Begin Center. Thus, for example, we now know that during the days of Chol HaMoed Pesach the museum tours were working at an 87% capacity from 9:00 in the morning until 7:00 in the evening.& nbsp; Many of the groups that entered the museum were families visiting Israel from abroad who required earphones using the English or French translation. At the conclusion of their tours, they commented very favorably on this facility. The headline in last week's bulletin recalling the dramatic events in Jaffa that took place 60 years ago and not 65 years ago as the headline stated. A number of calls were received from Irgun fighters who had participated in the original event. We apologize to them and for the error. The day in Jaffa was very successful. Some 1,200 people participated in the tours of the town that followed in the footsteps of the fighters. At the end of the day, a rally was held in Clore Park attended mainly by veterans and their families.& nbsp; Rabbi Israel Meir Lau, the Chief Rabbi of Tel Aviv, spoke of a personal connection to the events of 1948 relating the story of his wife's family's flight from South Tel Aviv until after the battle for Jaffa which allowed them to return to their home. Efraim Even spoke of the transfer of the Jewish population of Jaffa and the fact that now Jaffa was an example of Arabs and Jews living together. Gen. (res) Ya'acov Amidror spoke of the importance of this battle for the War of Independence to secure the civilian population. With the return of the delegation from Warsaw who conducted the ceremony in Muranowska Square, they brought videos and still pictures showing, among other things, the plaque that is now affixed at Muranowska Square. 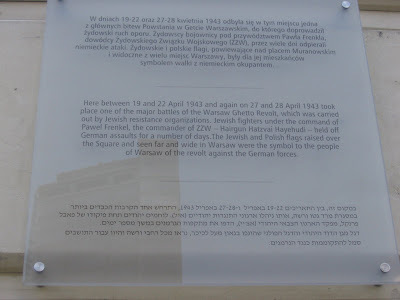 Here between 19 and 22 April 1943 and again on 27 and 28 April 1943 took place one of the major battles of the Warsaw Ghetto Revolt, which was carried out by Jewish resistance organizations. Jewish resistance fighters under the command of Pawel Frenkel, the commander of the ZZW—Hairgun Hatzvai Hayehudi—held off German assaults for a number of days. The Jewish and Polish flag s raised over the square and seen far and wide in Warsaw were the symbol to the people of Warsaw of the revolt against the German forces. The Begin Center expresses its gratitude to David and Miriam Krakow for their presentation of additional Betar documents for the archives. The items are significant in their connection to Menachem Begin. A new book on the Hasten Library shelves, among others recently acquired, is the memoirs of Professor Menachem Levin. 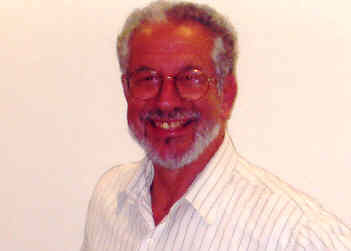 Prof. Levin, who regularly attends the Center's events and programs with his wife, was one of the first Betarim of Eretz Yisrael, a soldier of the Irgun and a founder and activist in Herut. His book contains several portraits of Menachem Begin as well as much background information on the Revisionist movement and Israeli pol itics. We deeply regret to record the death in Toronto of Mrs. Anne Tanenbaum, the 99-year-old mother of Joey Tanenbaum, one of the first supporters of the Menachem Begin Memorial Project. She is survived by Joey and Toby, Minda and Les Feldman, Tauba and Sol Spiro, Howard and Carole, Larry and Judy, Carol, and Jeannie. The Begin Center has conveyed condolences to Joey Tanenbaum, his wife and family, pointing out the fact that the lady had lived almost an entire century in which the condition of the Jewish people had been drastically transformed by the creation and development of the Jewish State. The first Yahrzeit of Prof. Michael Blumenthal, husband of former Member of Knesset Naomi Blumenthal will be observed on Friday, 9 May. Prof. Blumenthal was a famous eye surgeon and also a prominent participant in several national projects. He was on the Council of the Menachem Begin Heritage Center and also on the State Council to commemorate Presidents and Prime Ministers. We extend our heartfelt sympathy to Naomi and her family. Mr. Moshe Ronen, his wife and children, his parents and brother visited the Begin Center on Monday. They were received by Harry Hurwitz and Herzl Makov, who briefly outlined the history of the Begin Center and its successful progress. Mr. Moshe Ronen is a leader of the CIC (Canada Israel Committee) based in Toronto. Barry and Sindy Liben of New Jersey, who are among the leading active supporters of the Begin Center, were on a brief visit to their daughter, Rebbecca, in Israel who is participating in a three-month program sponsored by her high school. They were accompanied at a meeting with Harry Hurwitz and Herzl Makov by their friends Bobby Brown, a member of the International Board of the Begin Foundation, and Gary Segal.